Hello there – today I had a few hours to myself to get into my craft room and managed to make 3 cards after a number of false starts. My first card is for the challenge over at CAS Colours & Sketches. This week it’s a colour and sketch challenge. I used one of my favourite sets by Simon Says Stamp called ‘Beautiful Flowers’ which I stamped in black on an ink smooshed background panel. I used Stampin Up inks in Gumball Green and Midnight Muse and mounted the floral panel on some Raspberry Ripple card stock. Next up is a masculine card for The Male Room Challenge to use tools on your card. I used a set from Stampin Up called ‘Nailed it’ and created an image that looks like the hammer is in slow motion (4th dimension stamping). Nice and simple. I coloured the hammer in with my Stampin Blends in Midnight Muse. Lastly is a card for the current Seize the Birthday challenge with a toppings theme of foliage. 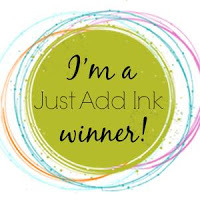 I used a leaf background stamp from Penny Black called ‘Fronds’ which is inked in Catherine Pooler Designs Grass Skirt ink on an ink smooshed background panel of Lime Rickey. The sentiment is from Altenew called ‘Label Love” stamped in black and mounted with foam tape. I really like how this one came out – it feels very tropical. Well that’s it for today, thanks for looking and enjoy your day.